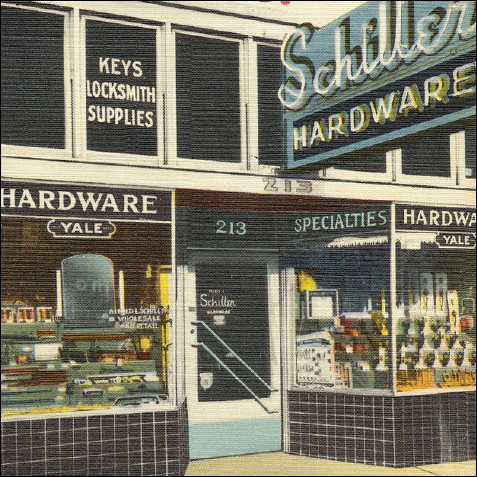 Here at Schiller Hardware, we have been working hard for the last several months to redesign and develop our website to better appeal to our customers and prospects. They say first impressions matter the most, and since people are searching the web for the products and services they need, we’re confident that our first impression online is now one that will appeal to our target market. We wanted to take a minute to point out some of the new and improved features the site now offers. Photo-driven design. Photos tell the story on our new website. From our homepage to our projects page, you’ll see faces of our people and real-life examples of some of our biggest projects. Mobile functionality. Whether you’re browsing the site on your desktop, phone, or tablet, each page will display properly and you will be able to easily navigate to the content you want to see. Points of contact. We invite you to contact us through our website. Leave us a note, ask a question, or inquire about a specific project. Someone will follow up with your request promptly. We’re excited about this launch for a couple of reasons. Not only are we able to better display our work and engage with customers and prospects online, but we’re also able to continue to grow and develop our website over time. That means we’ll be updating the content regularly with new project pictures and we’ll also be blogging about industry news that matters to you. If you haven’t done so already, check out our website and let us know what you think. We’re excited to hear your feedback! If you have any questions or want more information about what we do, contact us and someone will follow up with you soon.